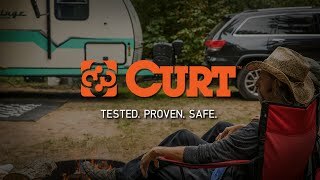 Keeping power in mind, Curt wanted to exceed a customer's expectations and fulfill even the heaviest of needs when it came to creating the Curt Class V trailer hitch. Thinking outside of the box, they knew that sometimes vehicles needed more towing capability and while keeping that in mind they created the Xtra Duty & Commercial Duty Class V hitches. Manufactured from heavy-duty steel each hitch is made to wow the owner. 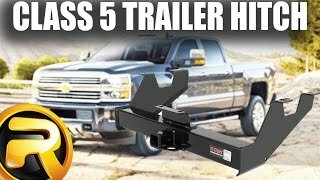 Each Xtra Duty 2" hitch has a gross towing weight up to an astonishing 17,000 pounds with the Commercial Duty 2.5" hitches having a gross towing weight up to a massive 20,000 pounds. Yup, you read that right, 20,000 pounds. To put this into perspective, an average African male elephant weighs around 15,400 pounds. This means, you could haul an elephant and a bit more with no strain on your vehicle! 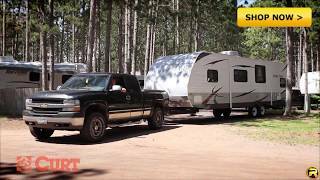 You probably don't plan on towing around an adult elephant, but heavy-duty trailers and haulers are possibly not too far off from your hauling needs. 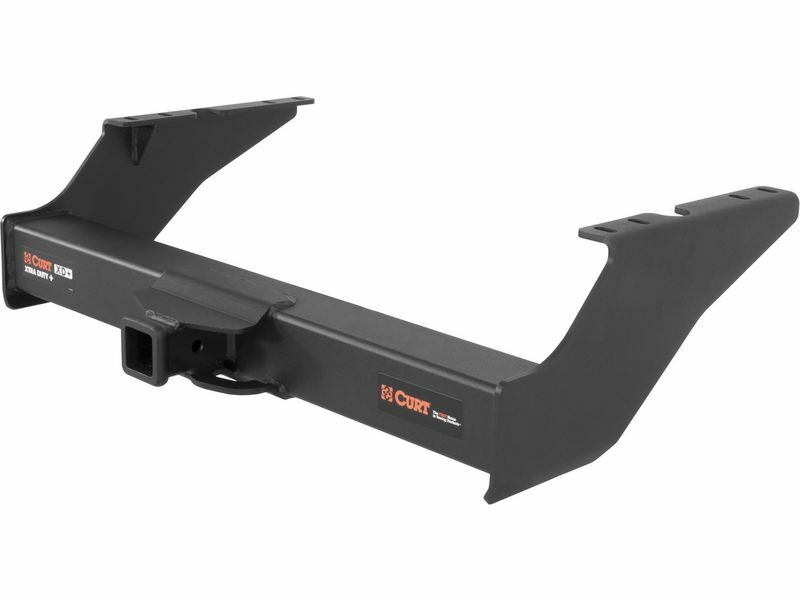 Welded with precision, each Curt Class V trailer hitch is made for daily use. Coated with the durable Aquence® coating for extra corrosive protection and a high-quality gloss black powder-coat never worry about scratches and dings causing your Curt hitch to rust. Let Curt do the work for you, own your very own Curt hitch today! No need to call the local auto shop to get a Class V hitch installed. Follow the easy to read instructions and have it on in no time!